Post construction clean-up is a big hassle and our post construction clean up service can take that burden and take care of it for you. We clean up the post construction mess in a quick and timely manner because we know your time is limited and the longer we take to clean up the more time it will take you to get back on schedule with selling the property or moving into the property. No matter what is being done, renovating is not so much dirty, as it is generally dusty. Debris from construction materials, tools and equipment builds up, and even though professionals will always cover the floors in the areas under construction, this does not completely solve the problem. Construction employees had be moving in and out of your building to access the area to be renovated, tracking foot prints and polluting the air of the building with excess dust. 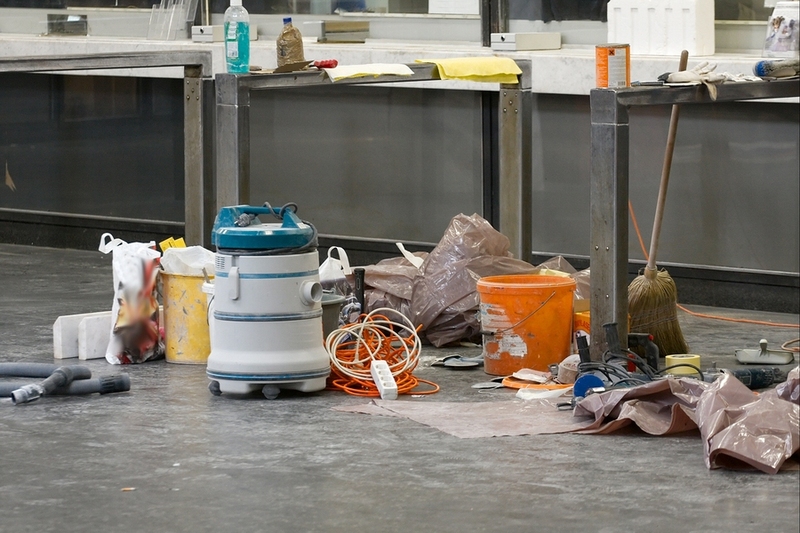 Even quality professional contractors will often not properly clean after they have done their work. And to be truly satisfied with your new construction you will want it to be sparkling clean to truly express the upgrade. * All dust removed is from all ceiling pipes, ducts, fixtures, lights, and vents. We supply professionals with years of experience; who have been trained to provide to high quality cleaning and professional attitude. This service is one of our lighter cleaning offerings, and is not intended to be a true commercial cleaning, but instead just cleaning up of what the construction caused. To avoid any issues with your satisfaction, our cleaning professionals will go through your building with your prior to cleaning in order to establish what will be done and what will not.